If you own or operate a business facility anywhere throughout Greater Pittsburgh or Western Pennsylvania, preventative pest control should be at the top your list of monthly operational priorities. Unfortunately, in our experience, that’s often not the case. Admittedly, commercial pest infestations are usually emergencies where action is taken well after the problem has occurred, often causing damage to your online reputation, bottom line and employee morale. Benjamin Franklin hit the nail on the proverbial head when he said, “an ounce of prevention is worth a pound of cure”, and his words couldn’t be truer in the world of pest control. So what’s entailed in our pro-active pest control services, and how can it help your business? 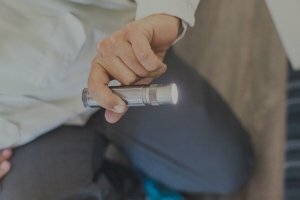 Read on as our chief operations and service managers provide a detailed explanation of proactive pest management, why you should always opt for it over reactive options and how it can improve the bottom line of any business in food service, hospitality, health and fitness, industrial and a host of other vulnerable industries. What Is Pro-Active Pest Control And Why Is It Important? Predicting problems in days of old may well have been best left to the murky wisdom of crystal balls and tarot cards. In the modern world of Pittsburgh business and commerce however, acting in anticipation of expected problems is not only smart, it is also good business. Pro-active pest control means taking the initiative by acting rather than waiting for an event to occur and then reacting. In terms of pest control, this means taking action to prevent an infestation of insects or rodents before they infiltrate the premises. The first step in initiating a proactive pest control program is to ascertain what kind of insects or rodents are lurking within your commercial space or property. If this is not done, a business owner or manager is taking a dangerous chance, as they will find out the hard way whether or not a previous caretaker took proper measures to seal bugs and rodents out. Our experts at Pestco can determine this rather quickly via a thorough inspection. A cockroach infestation, for example, is usually marked by a strong, oily or musty odor coupled with feces resembling coffee grounds, the quantity of which is a good indicator of both the level and duration of the infestation. Bed bugs, the bane of the hotel and hospitality industry, leave their mark with bloodstains on sheets, pillowcases and pajamas and dark or rusty spots of excrement on sheets and walls. If the problem is rodents, it will present itself with a close examination of electrical boxes and internal wiring. Why Is Pro-Active Better Than A Reactive Approach? Pro-active can be defined as acting in advance to deal with an expected difficulty and it relates well to that old proverb, fore-warned is fore-armed. A business suffering from a pest infestation may well be paying for the mistakes of a previous owner or manager. The single step of calling Pestco to schedule a thorough inspection of the commercial space can tell you all you need to know. Whatever such a procedure may cost initially, in the long run, it will save money because it is a lot easier to prevent bugs from entering than dealing with them once they have already penetrated a facility. Pests can also do so much damage to a commercial or industrial space if they have the time to increase in numbers. Reactive pest control is always performed on an emergency basis after the discovery of an infestation. While this is not to say this isn’t important, preventative pest measures are more so because they avert the infestation from occurring in the first place. In many cases, a business may start with a reactive pest control visit before enlisting a more pro-active, preventative pest control strategy. The ideal pest management solution will have both preventive and reactionary elements. There are several benefits that are practically written in stone whenever a company introduces a Pestco pro-active pest control program to its premises. The primary advantage concerns the fact that such an initiative will eliminate bugs permanently from the business environment. This, in turn, can also result in happier, healthier employees and customers. Thirdly, pro-active pest control and pest management can help to avoid property damage that pests have been known to cause to wood, food stuffs, electrical wiring, linens and other items. Pro-active pest control has other aspects in its favor as well. It can save money because it will eliminate the risk of stock damage from contamination. It can also increase revenue by both developing the bond between existing customers and attracting new ones, who will feel confident that the place where they conduct their business is safe and healthy. More than money, a pro-active pest control approach can save a company’s reputation, which when lost, is very difficult to re-establish. Which Are The Most Prominent Business Pests? Pest infestations vary according to the type of commercial setting involved. Within the food industry, the king of problems is the cockroach and the queen and other royalty are rats and mice. Bedbugs are the bane of the hotel and hospitality sectors. Their ability to spread via the transient nature of the industry can quickly contaminate an entire hotel if there is no pro-active pest control program in place, such as our cost-effective pest management options. Restaurants, food-processing plants, supermarkets, delis, granaries and food warehouses can be financially devastated by an infestation of food pantry pests, roaches and rodents. Nothing can ruin a fine meal in a restaurant more quickly that a roach running across a diner’s table or a mouse scurrying across the floor. There will also never be a second opportunity to alter that first impression. That diner (and all of his or her friends) are lost to that business forever. This can be compounded exponentially by a bad review published online. For restaurant owners and managers, pest management is one of the biggest challenges they face in day-to-day operations. The very nature of the business provides ideal temperatures and moisture conditions for breeding and nesting sites. Some species of pests make seasonal appearances, but a number of them can be problematic at all times of the year. During the winter months, rodents are the most concerning due to the pathogens they carry and their capacity to cause structural damage. Five-stars or no-stars, any food service establishment they can find their way into becomes home sweet home. A rodent infestation in a commercial kitchen can be a major health catastrophe. Mice and rats harbor more than 200 easily transmittable human pathogens that can spread a range of diseases, including the deadly plague. In addition, current research indicates that as rodents travel throughout a commercial establishment, they constantly leave micro-droplets of urine, which can transmit these pathogens. Mice, spiders and roaches adore office spaces because food particles are often left behind on tabletops in break-rooms and cluttered storage areas. These provide the perfect niches for roaches and mice. Most companies do employ a janitor or custodian who may try his or her best, but does not necessarily clean up every day. The National Pest Management Association and the University of Kent conducted a 2015 Bugs Without Borders survey that indicated one out of every five Americans has experienced a bed bug infestation in a home or at a hotel. Bedbugs are also a problem in nursing homes, college dorms, offices, schools, daycare centers and hospitals. A study conducted by the Center for Disease Control and Prevention (CDC) examined the outbreak of diseases from 2009 to 2010 that occurred within a food service setting. Results indicated that 48% happened from food consumed in a restaurant or deli. Diseases and pathogens from pest infestations were found to be the major (but not only) reason behind such incidents. Even though these critters are very destructive and ruin commercial enterprises, there are facts about them and the damage they cause that while certainly not endearing, are at least interesting to note. Rodents destroy enough food every year to feed over 200 million people. Rodents cannot physically vomit or burp because they have a barrier between their stomachs and esophagus. This prevents them from having the muscle strength that is necessary to vomit and is the reason why a pro-active pest control solution will involve the use of poison. Termites cause $5 billion in property damage every year. Mosquitoes are responsible for close to 800,000 deaths each year and transmit a range of potentially lethal diseases including West Nile Virus, malaria, dengue fever, encephalitis, and yellow fever. Bed bug saliva acts as an anesthetic and promotes increased blood flow at the bite site, making the feeding process on humans quick and painless. A single female bed bug can lay over 500 eggs in her lifetime. A University of Kentucky study funded by Protect-A-Bed (a company that makes mattress protectors) indicated that reports of bedbugs lowered the value of a hotel room by $21 for leisure travelers and $38 for business travelers. Cockroaches can survive a nuclear explosion. Roaches were found crawling about in Hiroshima and Nagasaki after the US dropped atomic bombs, and in Chernobyl, where a terrible nuclear accident occurred in 1979. The Japanese cockroach can hibernate under snow while still a nymph and is able to withstand temperatures of up to eight degrees below zero. It is also the only cockroach in the world known to walk on ice. In the case of restaurants, shifting food safety regulations make it impossible for the pest control and pest management specialists at Pestco to apply a one-size-fits-all pro-active treatment approach to rodents and other pests. A thorough assessment of the commercial premises is the only way to determine existing conditions before the employment of exclusion, trapping and baiting, and the use of both non-chemical and chemical treatments. A pro-active treatment program also means that restaurant owners and managers must educate their workers how to maintain a status quo by implementing proper sanitation and food storage practices that will prevent ingress in the first place. Like so many things in life, this is easier said than done, for a restaurant’s primary concern cannot easily change from food preparation and guest services to watching the loading dock for signs of spills to wipe up, dropped food and checking for points of pest entry. And yet, somehow, they must find a way to do so. With over 70 years of experience, Pestco has developed a stellar customer service reputation, and services high-profile commercial accounts within a fifty-mile radius of their headquarters in suburban Pittsburgh, including Heinz Field and PNC Park. We have also branched out to many counties in Western PA and parts of Virginia and Ohio. According to Ray Czapko, CEO of Air-Scent International, Pestco’s parent company, and himself a 30-year employee: “One of the reasons for the company’s success is employee continuity. The Complete Facility Care Program offers the expertise of three distinct companies. This special comprehensive initiative blends the ultimate in pest control and pest management with superior washroom hygiene services provided by Enviro-Master and environmental odor and air freshening solutions supplied by Air-Scent. This vast array of professional services is available under the cost-effective blanket of one highly respected company that has been in continuous operation since 1948. This special offer ensures that food service, hospitality, school and universities, health and fitness facilities and a host of other vulnerable industries can maintain a healthy pest-free environment and bathrooms and work areas that are clean and pleasant smelling at all times. Take advantage of our unique offer that in the end will save owners and managers of commercial spaces a great deal of time, aggravation and money. Call today and change the face of your company tomorrow!